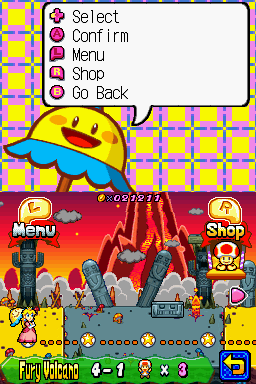 Fury Volcano is the fourth area in the game Super Princess Peach. It is an active volcano. 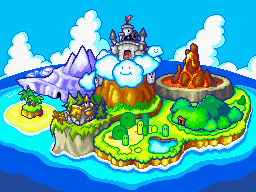 Some rooms contain smoke that causes damage, which the cyclone from Peach's Joy vibe can be used to blow away. The most common enemies are Podoboos and Rexes. The boss and ruler of this world is Wiggler. Mukamukazan Pun on mukamuka, feeling of anger and kazan, volcano.